Our local teams are already working with CCGs and other partners to deliver services into communities. 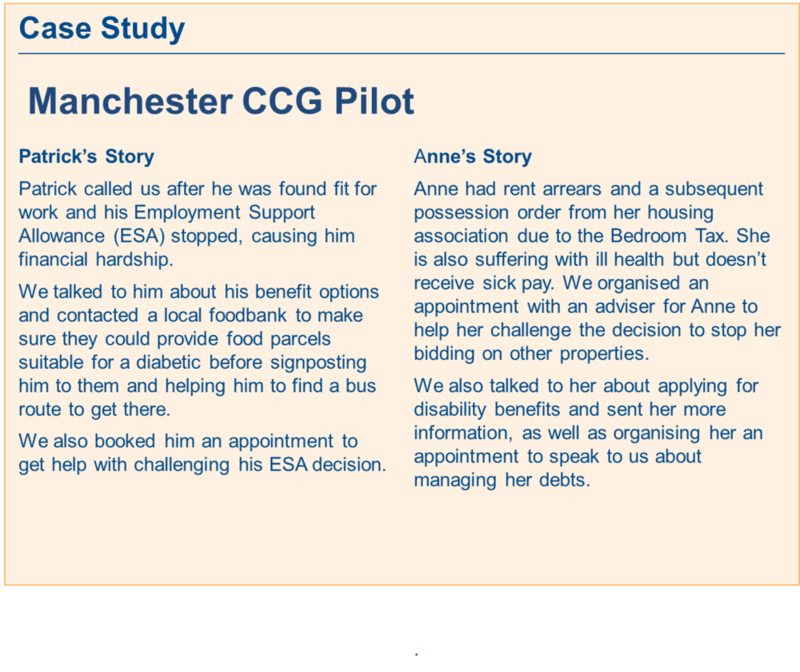 Citizens Advice Manchester has developed a pilot service to bring access to advice into health settings. Patients can be instantly connected to a Citizens Advice Manchester adviser through a phone in their GP’s waiting room. Phones are now live in eight surgeries: Benchill, Cornishway, Northenden, Fallowfield, Chorlton, Levenshulme, Manchester Medical and West Gorton.